Although it’s tempting – and exciting – to dig into predictions for the global workforce of 2030, it often isn’t practical to look that far into the future to determine our actions today. For example, a recent publication from PwC reports five “megatrends” they believe will shape this future: technological breakthroughs, demographic shifts, rapid urbanization, shifts in economic power, and resource scarcity and climate change. PwC notes that how we as humans react to these trends is what will determine the future of work; they suggest that these reactions will vacillate between business fragmentation versus corporate integration and collectivism versus individualism. These trends and sentiments are fascinating to contemplate and valuable to keep on the radar, especially considering the impact they will have on the job market and talent acquisition. Nonetheless, theories on the future of work a decade from now – including these predictions from PwC – aren’t particularly helpful for HR leaders who are attempting to strategize for the short term. Long-term predictions are valuable for steering us in a specific direction, but they don’t tell us much about what we should be doing in the here and now. The last quarter of 2018 saw the highest job openings rate the market has experienced in years, with 6.9 million open positions just weeks before the end of the year. Former Federal Reserve Chairman Alan Greenspan claims it is the tightest labor market he has ever seen, and that wages and inflation will be forced up accordingly. While a tight labor market isn’t exactly new, it’s also not about to change direction any time soon. With increasing numbers of Baby Boomers retiring from the workforce and a soaring demand for talent in sectors like technology, engineering, and healthcare, HR will be challenged by this shortage of workers for years to come. Surprisingly, wage growth has been fairly stagnant over the last few years, a fact that seems at odds with the overall demand for talent. This trend cannot be sustained if employers wish to hire ahead of the curve. Thus, HR will be responsible for a thorough evaluation of compensation structures, in addition to their recruitment and retention strategies. How will you adjust job requirements in the face of a meager talent pool? How will you manage generational shifts in your workforce? How will you address diversity? As we’ll discuss later in this article, it’s also an opportunity to assess partners in the talent acquisition process. A poll from the World Economic Forum reports that 87% of workers expect new technologies like AI to improve their work experience. Furthermore, McKinsey suggests that up to 375 million global workers will end up switching operational categories, due to job automation, forcing them to learn new skills. A KPMG report shares that one in four HR leaders aren’t confident in their ability to digitally transform the workforce or their own department, and half are unprepared to respond to emergence of AI and machine learning. The majority do not have any plan in place to address these digital trends. That said, around half of all survey respondents are planning to invest in enhanced process automation and AI over the next year or two. Which side will you fall on? It’s important to note here that HR’s collaboration with IT leaders regarding key investments in digital technologies will be paramount to success. 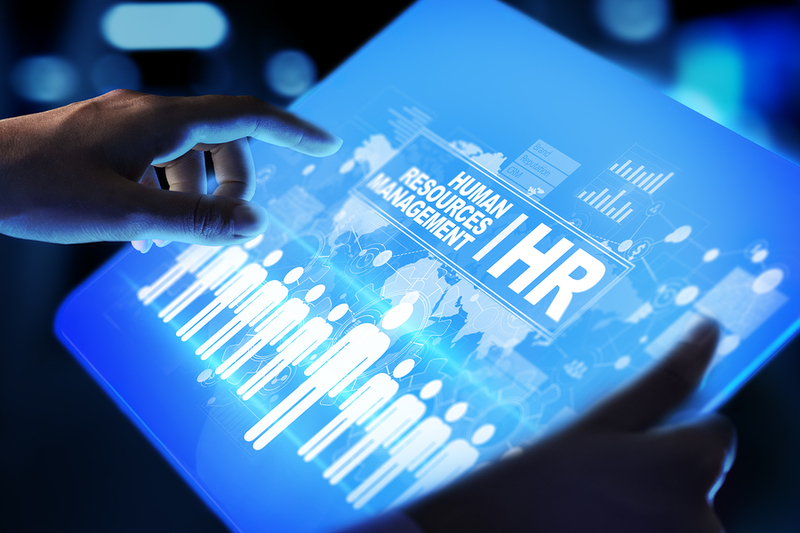 AI, machine learning, data analytics, and more will be essential in driving informed decision-making in the HR sector, not to mention sifting through the massive amounts of data created by HR records and systematizing manual processes. What would it look like for you if performance evaluations, onboarding paperwork and procedures, and benefits administration were streamlined? Automating simple tasks will enable HR leaders to focus on more complex and valuable activities, opening up the door to innovation and digital transformation. Companies like IBM are already eyeing initiatives such as personalization of the employee experience, data-driven proactive retention strategies, and smarter career development programs. How could programs like these transform your workforce? For organizations who value their workforce as much as their end product or service, culture fit has always been a priority when hiring. But, now more than ever, as automation renders basic technical tasks unnecessary for human hands and minds, soft skills are increasingly crucial. This is true for all levels of the organization, from the C-suite to the frontlines of the business. It’s a particularly important concept as HR leaders face the emerging value of job meaning or purpose, particular to Millennials and Generation Z. Soft skills and emotional intelligence are an integral part of this burgeoning reality. More specifically, LinkedIn recently analyzed thousands of job postings to discover these top five in-demand soft skills: time management, adaptability, collaboration, persuasion, and creativity. Given that many HR departments are poised to initiative digital transformation, it makes sense that skills like adaptability and collaboration are so high-ranking. Likewise, persuasion and creativity are skills that fill in the gaps where technology, no matter how intelligent, falls short. It then falls on HR to find ways to more accurately assess potential hires for their competency in these soft skills and their emotional intelligence. The candidate and employee experience will be equally important in this process. As the workforce shifts to make room for these short-term trends, HR leaders are faced with the need to reassess their hiring strategies. An in-house recruiting team knows the business well but may be ill-equipped to expand their talent network accordingly. In these instances, an intelligent blend between internal and external recruitment teams may be more valuable. External search partners are typically more in tune with shifts in the marketplace and have built their network of talent with this in mind. Furthermore, they’ve spent years nurturing relationships with passive job seekers who are unlikely to respond directly to company-posted job openings. Thus, proactively shaping this partnership so it benefits the entire organization will be key to long-term success. It’s equally important to determine who will own this partnership. Collaboration with HR is crucial, but an external search partner may need critical information from the executive team to align recruitment goals with overall business objectives. What would a partnership like this mean for the future of your organization?